Why can’t an xMOOC be more like a cMOOC ? Why don’t xMOOCs explore the brave new paths followed by the earlier cMOOCs? Some participants join a MOOC with the express purpose of passing an exam and gaining credit of some sort. Nothing wrong with that of course and cMOOCs have included small numbers of students aiming at formal certification. Passing examinations though is not the primary purpose of education and the obsession with exams evident in the xMOOCs strikes me as unhealthy. MOOC participants have diverse learning objectives in comparison with students taking the traditional university or college courses that current xMOOCs appear to be based on. Typically, a traditional course is aimed at a small bunch of carefully-selected, exam-orientated students of about the same age and educational background who turn up at set times to hear a professor pontificate. Why adopt such a narrow, timid little beast as a standard when MOOCs, given adequate investment in planning and infrastructure, have at least the potential to be as broad in purpose and scope as anyone could wish for? A really mature MOOC could have a traditional course for breakfast! Dropouts Rule! – OK ? leaving happily after a week or two because you’ve already found the content and connections you came looking for in the first place? leaving sadly after making reasonable progress but not sitting the final exam because you find multiple choice tests demotivating and couldn’t get help – or perhaps your English just wasn’t up to the job? making exceptional progress, gladly engaging with and assisting other participants but then being brought to a grinding halt by ‘real life’ – loss of internet connectivity, unexpected work commitments, having a baby? becoming bored and losing interest because you’re only 13 and without the right background but persevering long enough to make sense of a few technical terms and maybe launch a lifelong interest? 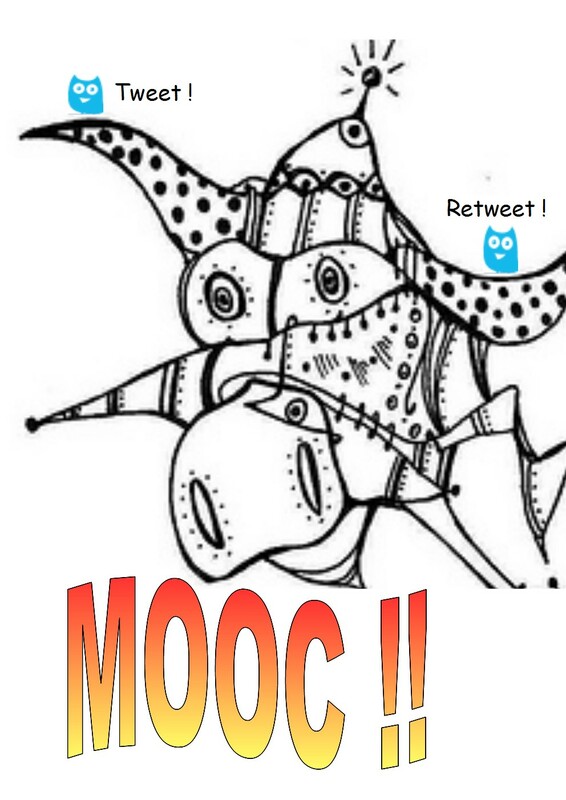 just looking in to check all the buzz about MOOCs and then joining a different MOOC later on for more serious study? There’s at least anecdotal evidence for all these ‘dropout’ scenarios and others where at least some educational benefit is to be gained. It may be very difficult to pinpoint or quantify but it should not be overlooked! Right on Jim – I’ve now been registered with several MOOCs (some by accident – it’s so easy it must be part of their marketing strategy!) ‘passed’ one, got something out of participating a bit in a few others and shamelessly downloaded stuff from several more for eventual(?) study – might not all be quite so free in the future. I’m well on the way to becoming a “guilt-free shameless dilettante” like Vanessa! For some reason I missed your blog post on this topic with Vanessa’s comments – I’ll comment there later on when time allows.